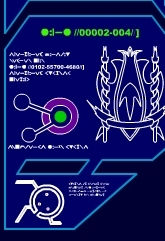 Less an organization than an umbrella term used to describe the various resistance movments active on the various human inhabited Drago-Kazov subject worlds. Different HLA factions and subgroupings include the Sons and Daughters of Liberty on Midden, the now-defunct Free Peoples' Gang on Earth, the Amal Brotherhood on Souk al-Qana, and the infamous Diamond Dogs of the Comstock Asteroid Field. Since the brutal suppression of the recent revolts on Midden and Earth, the HLA has been fairly dormant, though sporadic work stoppages, acts of sabotage, and guerrilla attacks against Dragan occupation forces continue on several worlds.